2016 Cartier Women's Initiative Awards | TMC | Toki Mabogunje & Co.
On August 03, 2016 at 10:30AM, the 2016 Cartier Women’s Initiative Awards Information Session will take place. It will be happening at Protea Hotel Ikeja, Isaac John St, Lagos 102215, Nigeria. 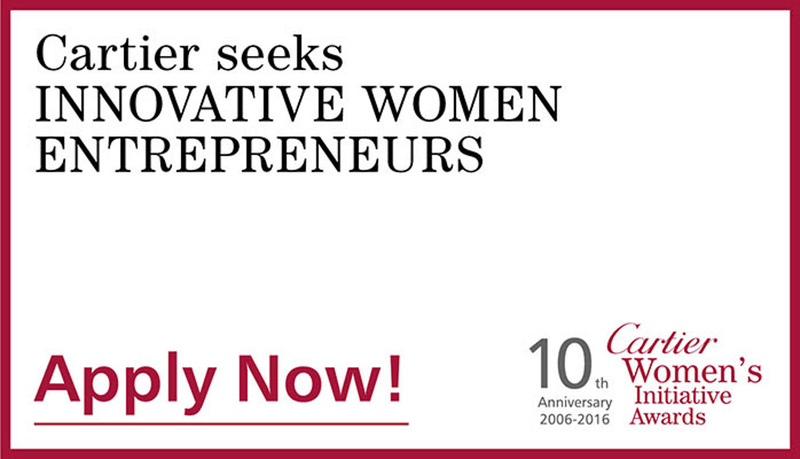 The Cartier Women’s Initiative is seeking innovative women entrepreneurs to coach, fund, and support through this year’s award program. Interested applicants should attend this information session for more details.